As we know that haryana staff had acounced the date of the D group exam.the Hssc has decieded to conduct the exam of haryana group D.On the date of 10/11/2018 to 12/11/2018. as we know that haryana had acounce the 18000 vicancies of the group D.in the month of july. 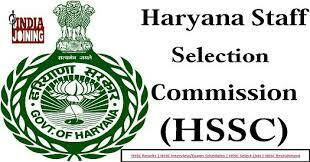 and the hssc has decieded to comlete this vicancies as soon as possible.so they comleted its proccessing very fast. How to Downlode admit crad. then click on the cat .no. 4/2018. and you will be directly goto the page where you will registration no. Then you see whre your registraion no or login id . after thet click on that and fill the your ditails like you regstration and your date of birth. Aftet to complete this prossecc you will able to see you admit card. Thanks for visit our site..